Alcohol is even more hazardous on the water than on land. The marine environment motion, vibration, engine noise, sun, wind and spray accelerates a drinker's impairment. These stressors cause fatigue that makes a boat operator's coordination, judgment and reaction time decline even faster when using alcohol. Alcohol can also be more dangerous to boaters because boat operators are often less experienced and less confident on the water than on the highway. 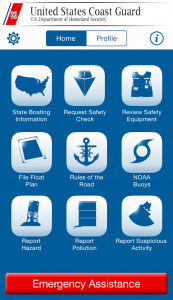 Recreational boaters don't have the benefit of experiencing daily boat operation. In fact, boaters average only 110 hours on the water per year. As a result of these factors, a boat operator with a blood alcohol concentration above .10 percent is estimated to be more than 10 times as likely to die in a boating accident than an operator with zero blood alcohol concentration. Passengers are also at greatly increased risk for injury and death - especially if they are also using alcohol. This table gives a guide to average impacts of alcohol consumption. However, many factors, including prescription medications and fatigue, can affect an individual's response to alcohol, and impairment can occur much more quickly as a result. There is NO safe threshold for drinking and operating a boat, so do not assume you are safe just because you fall into the "rarely" or "possibly" influenced categories. Plan to limit your trip to a reasonable time to avoid fatigue. Remember that it's common to become tired more quickly on the water. If you want to make alcohol part of your day's entertainment, plan to have a party ashore at the dock, in a picnic area, at a boating club, or in your backyard. Choose a location where you'll have time between the fun and getting back into your car or boat. Spread the word on the dangers of BUI. Many recreational boaters forget that a boat is a vehicle - and that safe operation is a legal and personal responsibility.